Voted World’s Best Low-Cost Long-Haul Airline 2018 by Skytrax, Norwegian currently operates flights from Dublin, Shannon and Cork airports to New York Stewart International Airport and Providence TF-Green Airport on the US East Coast. Flights are operated using brand new Boeing 737 MAX aircraft that feature up to 189 leather seats, which are currently being upgraded to a new slimline seat that will offer passengers enhanced comfort and greater space. Hamilton-Toronto – The brand-new daily service to Canada commences on 31 March 2019 and will mark the first direct flight between Hamilton and Dublin. The new route provides passengers with greater choice and flexibility for travel to Toronto and nearby Niagara Falls. 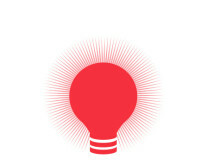 Fares from €189 one way. Providence-Boston – Norwegian will increase flights to Providence, Rhode Island to a daily service next summer, up from five flights per week. One of America’s oldest cities, Providence provides good access to Boston and other ideal summer destinations in New England such as Nantucket and Martha’s Vineyard. Fares from €129 one way. 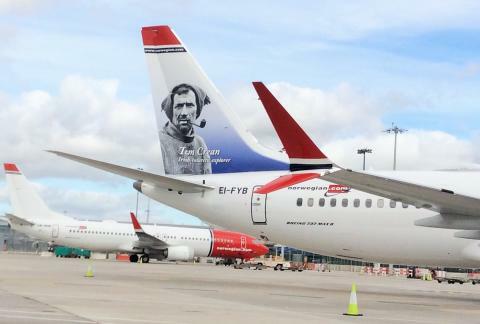 New York – Consumers will continue to benefit from twice-daily flights on Norwegian’s popular Dublin-New York route following the introduction of a daily morning departure in April. The route allows for day trips to New York State, giving leisure and business customers more affordable choices for travel in the busier summer holiday period. Fares from €129 one way. 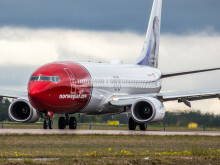 New York – Norwegian will increase its summer service to New York Stewart International Airport from three to five flights per week due to strong passenger demand. Fares from €129 one way. Providence-Boston – Business travellers and holidaymakers will continue to benefit from four flights per week to the heart of New England next summer. Fares from €129 one way. Providence-Boston – Norwegian will continue its seasonal service to Providence-Boston with three flights per week. The airport’s only flights to the US will continue to offer Cork residents a direct transatlantic link during the busier summer season. Fares from €129 one way. Thomas Ramdahl, Chief Commercial Officer at Norwegian said: “We are excited to increase our transatlantic flights next summer to meet demand and continue expanding our presence in Ireland. The market presents a clear opportunity to deliver more high-quality flights at lower fares for consumers on both sides of the Atlantic. All customers on Norwegian’s transatlantic flights to the USA from Dublin and Shannon benefit from the U.S Preclearance facilities at each airport.Norwegian customers landing in the US would be treated as domestic passengers, allowing for a quicker transition through the airport upon arrival. Norwegian also serves the European cities of Oslo, Stockholm, Copenhagen and Helsinki direct from the Irish capital with fares from €33.51 one way. Europe’s third largest low-cost airline has been voted the World’s Best Low-Cost Long-Haul Airline for the fourth consecutive year at the renowned SkyTrax World Airline Awards 2018, and Europe’s Best Low-Cost Airline for the sixth year running.